Lenovo has signed a multi-year sponsorship deal with the Ducati MotoGP Team. 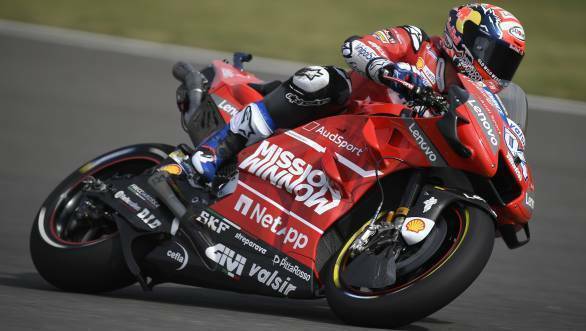 The company has already been Ducati's technology partner since the 2018 MotoGP season. As a part of the new deal, though, Ducati will use Lenovo's PCs, tablets and servers on track as well as off it. The partnership programme also includes co-development and collaboration on product research and development. Speaking of the new sponsorship deal, Lenovo Corporate President and Chief Operating Officer Gianfranco Lanci, said, "MotoGP is growing in global attention and stature every year and has become a sport watched by millions across the world. Ducati's 90-year heritage and focus on innovation, speed and performance align very well to our own story as a company and what drives our product development." Meanwhile, Ducati Motor Holding CEO Claudio Domenicali added, "Lenovo was the logical choice for facilitating Ducati's leap into the 21st century, given its track record in designing the 'latest technology' and providing 'high-level services'. In order to face successfully the new challenges, both on track in MotoGP and inside our company, we need to foster Ducati's IT and digital capabilities, which we are able to do thanks to partners like Lenovo and its powerful and versatile computer hardware. At the same time, Ducati's race and production bikes will be a perfect environment to test the latest Lenovo technologies in a partnership that we feel sure will be a very successful one."